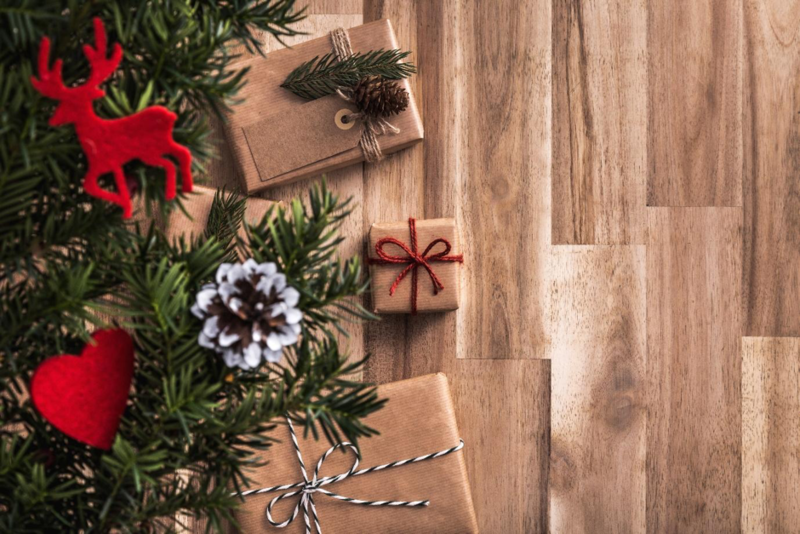 Helping you maintain your hardwood floors this Christmas, keeping them beautiful and damage-free. With the hot weather arriving, dirt and debris are likely to cling to shoes and feet as people spend more time outdoors. When cleaning, dust first with a microfiber mop to gather any grit particles, followed by vacuuming. Doing this daily is recommended to prevent the floor from being scratched. For a shiny finish, you can alternate between using a natural product (such as olive oil) and a wax-based cleaner. With items such as sofas, tables and chairs being moved more often than usual, make sure the legs all have floor protectors and replace where necessary. These felt pads will prevent the furniture from scraping the hardwood; an affordable solution to protecting your floors. Also, check that the felt protector is thick enough to withstand the weight of the furniture. Tree mats are a great investment if you are purchasing a real Christmas tree to absorb excess water. Loose pine needles should be vacuumed regularly to prevent them latching to footwear and scraping the floor surfaces. For artificial trees, many have plastic or metal stands so placing a rug or mat beneath will prevent unnecessary damage to your hardwood. Outdoor shoes particularly stilettos can cause considerable damage to hardwood floors. Placing a floor mat at the entrance will encourage visitors to remove their shoes. Sweep and vacuum the entrance area regularly to collect any loose dirt or grit from footwear. Although hardwood is resilient, spills should be mopped up quickly to prevent permanent stains on your floor. Avoid using chemicals – a cloth rinsed with warm water is adequate.